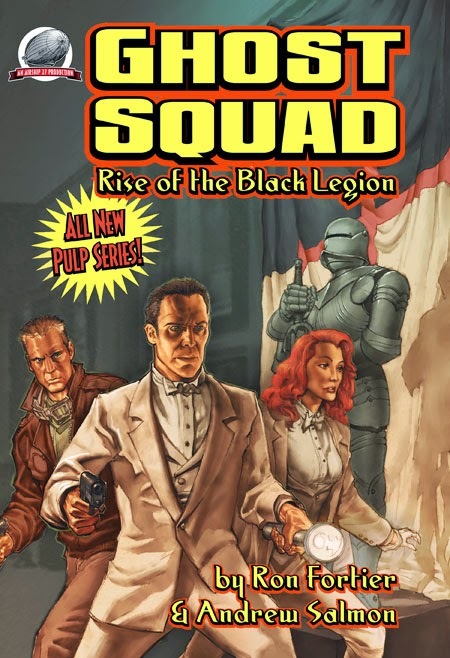 This novel by Ron Fortier and Andrew Salmon describes the formation of the Ghost Squad, who battle a Nazi society called the Black Legion. One of the members of the Squad is stage magician Arlene Kane, aka Lady Arcane; Arlene first appeared in Fortier's story "Lady Arcane: The Mistress of Magic," which Win listed in the original volumes. At one point, Squad member and pilot Alan Hale works with FBI agent Dan Fowler, from the pulp G-Men Detective. He also receives some help from boxer Mad Chad Hardin, who once worked with Jim Anthony, who has his own feature in the pulp magazine Super Detective. Finally, the leader of the Black Legion is a major villain of the Crossover Universe, but since his true identity is not revealed until the book's last line, I won't spoil it.